The underlying reason for this digital disconnect, numerous lobbyists say, is straightforward: They’d rather meet than tweet, plying a craft through the traditional but effective methods of sit-downs and phone calls uninhibited by 140 character limits. “As a lobbyist, I would argue that there’s nothing better than face-to-face contact,” said Campbell Kaufman, managing partner of Cornerstone Government Affairs. For Shana Glickfield, a partner at D.C.-based public affairs firm Beekeeper Group, large lobbying firms have little time to waste when it comes to their remedial social media training. When Glickfield looks at the demographics of Capitol Hill staffers, she sees people in their 20s and 30s, most of whom communicate via Facebook, Twitter, LinkedIn, Foursquare and various other social media offerings as people 20 years ago would have a land-line telephone or written memorandum. I especially enjoyed reading this story because it reminded me how well the election community is adapting to the rise of social media. More and more election offices are using social media every day – as evidenced by the “election officials” Twitter list curated by Jeannie Layson at the U.S. Election Assistance Commission (@EACgov). In the weeks and months ahead, we’ll look at the different ways election offices are using social media – and introduce some tools that offices can use to maximize their presence in the Twitter-sphere and elsewhere online. If nothing else, it’s always nice to have a head start on K Street, no? 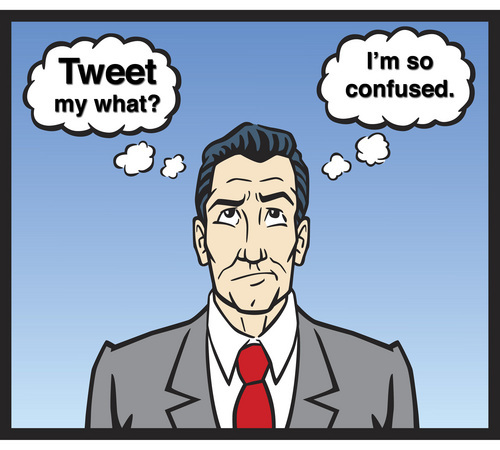 Be the first to comment on "No “Twitter Jitters” Here – Election Officials Get Social Media"